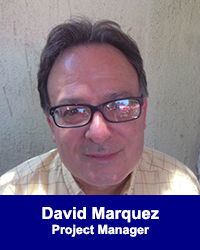 David Marquez - California Consulting, INC.
David Marquez is a consultant focused on developing capacity building and community development related services on behalf of non-profit agencies, local government, and the private sector to serve the diverse communities of Los Angeles. He has extensive experience and familiarity in the area of community and economic development, social and health services and planning and land use issues. He has combined his knowledge of varied issues with his experience in policy development, coalition building, grant management, fund development and local government to develop both strategies for issue-oriented advocacy and program sustainability for his clients. Prior to joining California Consultanting, he served as the Executive Director of several non-profit agencies where he focused on building collaborations and cross-institutional partnerships, both formal and informal, between schools, the private sector and community-based organization to increase the social and economic capital of families in Los Angeles County. Previously, he served as Chief Deputy of Legislation and Policy for former Los Angeles Councilmember Mike Hernandez, where he managed the legislative and planning staff. He began his career as a community organizer, nearly twenty years ago in East Los Angeles. He considers his experience and education as a community organizer as the foundation of his present work. He was born in East Los Angeles. He graduated from the University of La Verne with a Bachelor of Arts in History and International Studies. He has spent nearly his entire professional career working in the City of Los Angeles. He currently resides in Northeast Los Angeles with his wife Judith and 14-year-old son, Roan. He is also proud of his community involvement in the City of Los Angeles as a Commissioner for the City of Los Angeles East Area Planning Commission, Member of the Founders Board for the Los Angeles Neighborhood Land Trust, and as a board member for the 24th St Theatre, Arts Community Land Activism (ACLA), the California Hospital Medical Center, California Hospital Medical Center-Hope Street Family Center Community Advisory Board and Communications Committee.